Family trip to the upper peninsula in Michigan over the July 4th holiday. 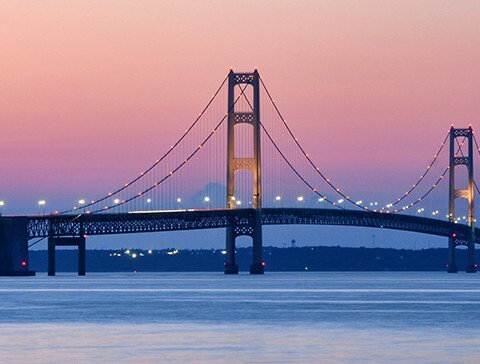 Crossing the Mackinac Bridge has always been on my bucket list. It is also special to me for another reason. Growing up, there was a photo of my father and grandfather with the Mackinac Bridge in the background. I wanted to duplicate that photo with my daughter who is now 3 years old. My father died 25 years ago this coming August, I was never able to have the same photos taken with him.